nevertheless: Fire breathing dog robot roams the streets of London ! 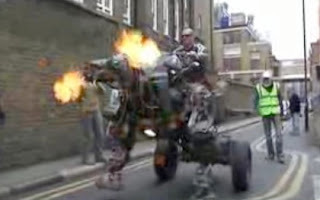 Fire breathing dog robot roams the streets of London ! Lyle from the Mutoid Waste Company introduces us to Larry, his fire breathing robot dog. Lyle shows just what’s capable with all the junk we throw away. Cannibalized motorcycle parts, a Citroen 2CV engine to run it and another for a head, coffee filters for eyes and lots of bits from old Fiat cars all went into creating this Robo Dog in just 4 weeks. 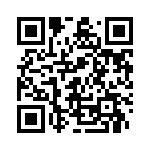 Photo stream of Mutant Waste Company, here and here. Also here is a documentary site of the Mutoid Waste Company, some time in the 1980s.